Que c’est beau! 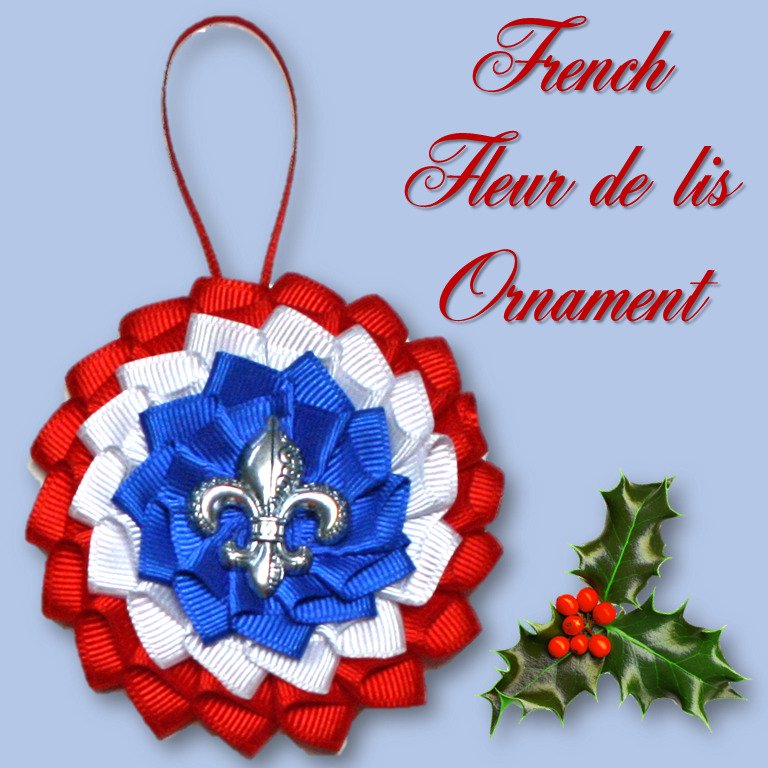 The French tricolor paired with the French fleur de lis. This rosette is approximately 3" wide.